Cath Jenkin gives us an inside look at homeschooling. Every now and then, I mentally toy with the idea of homeschooling my daughter. These moments usually hit when I am struck by an anxiety attack over juggling homework demands, work deadlines and have forgotten about the promise I made for us to scoot off to a movie date. Those would be completely selfish reasons for entering the world of homeschooling, though, so I have not done it. My daughter is happy in her school environment, and thriving. But, homeschooling is an option that more and more parents across the globe are opting for, and I can fully understand why. I decided to explore the concept of homeschooling, particularly in South Africa, a little deeper. Firstly, I wasn't aware of the full extent of regulations and registration processes – did you know you had to register your child as a homeschooler and that it is free to do so? You can find out all about it on the Department of Basic Education website. But, what is it really like to homeschool your child? I have quite a few friends who have elected to go this route. Mandi B, a homeschooling mum from Johannesburg, shared a few of her insights with me. They decided to homeschool due to some family and work-related variables, and truly enjoy the experience. Mandi says: “Teaching my child to read was one of the pinnacle moments which paved the way for our future...It was a beautiful journey where we learned so much about him, and inevitably decided what we wanted our family to be. We are currently in our 6th year of homeschooling and we now have two more boys in the mix. There is no doubt that we will be homeschooling all our children for as long as we possibly can”. Homeschooling isn't the “easy” option though, and Mandi’s family sticks to a strict schedule, just as a family would if their children attended a mainstream school. Mandi also admits that “homeschooling is most certainly not for everyone. It is a huge commitment and one, for your children’s sake, you cannot afford to mess with. While it works for our family, it is hard work. It is sometimes relentless, but it is always rewarding”. Then I got curious about the types of homeschooling curricula that are out there. A little Google search opened my eyes, quite wide! There’s a big range of possible curriculum options out there, but the one that caught my eye the most came from The Academy of Home-Based Learning (AOHBL). Created by renowned author and educator, Dr Edwina Grossi, the AOHBL programmes are structured around her most recent textbook, entitled “Lanterns and Lunchtins: Fundamentals for Learning in the Formative Years”. 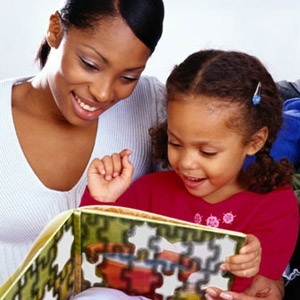 I loved reading that textbook, and found it so useful when my daughter was in pre-school and Grade R. AOHBL currently caters for the pre-school grades, with age-prioritised learning programmes that span to the 2,5 to 5,5 year old age group. I’ve been lucky enough to speak to Edwina about homeschooling and she also shared some thoughts with me about the practice. Edwina acknowledged that, “for the first time in history children are more au fait with the new communication technologies than their parents or teachers. Education in this new society should identify and develop a child’s unique strengths and talents, which is where AOHBL comes to the fore. There is a dire need for new refined ways of teaching and new ways of dealing with children”. She also commented that homeschooling lets parents and tutors truly individualize the learning experience for children and actively “cater for diversity in intelligences, strengths and talents”. Edwina’s top advice for parents who choose to homeschool is, quite simply: “stick to a routine and arrange for your child to meet and play with other children”.